Goodfellas Joe Pesci and Robert DeNiro reuniting for the Uncharted: Drake's Fortune movie, with Mark Wahlberg potentially on board as well? A story about antiquities dealers in New York? That's just crazy talk. Isn't it? 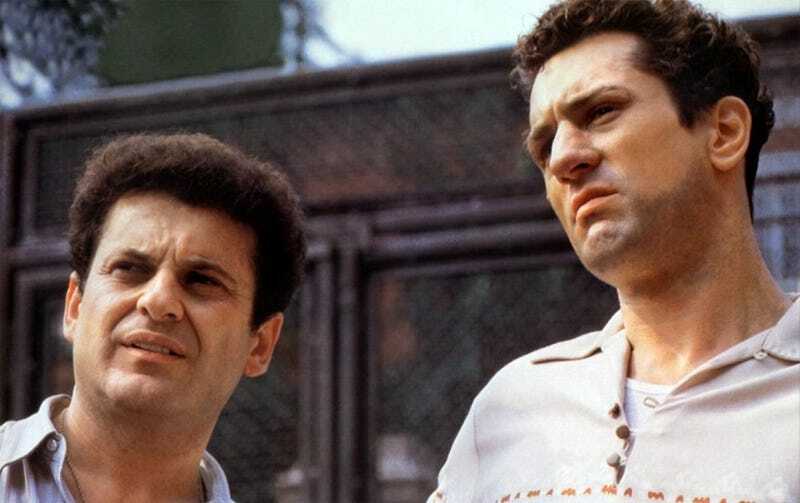 Could the dynamic duo from GoodFellas, Casino, Once Upon a Time in America, A Bronx Tale, and Raging Bull be getting back together for the Uncharted: Drake's Fortune movie? Roger Friedman of Showbiz 411 says the movie's director David O. Russell is looking to bring the pair back together again in the video game adaptation, along with Mark Wahlberg, who recently co-starred alongside Christian Bale in O'Russell's "The Fighter." In case O'Russell is curious, Mark Wahlberg is not the Drake we're looking for. Russell didn't fork over any plot points at last night's premiere of "The Fighter." But sources say the story will have something to do with antiquities dealers in New York. I don't remember that part from the video game. Then again, the video game was pretty light on material. Wait, what? Right now, the script is being composed from scratch. Word is the actual video game didn't have much there aside from a concept and a name. Can someone else please be outraged over that statement for me? I'm not sure I can handle it. Of course this is only a rumor, and they tend to fly fast and loose in the movie business. Hopefully the plot of the Uncharted movie won't suffer from a director's need to shoehorn big-name talent into roles they don't fit in.